Comments: Deciduous conifer native to Mexico and the Rio Grande Valley of Texas. gray-green leaves in rows along branch which die in winter and drop, and small 3/4" dia cones. 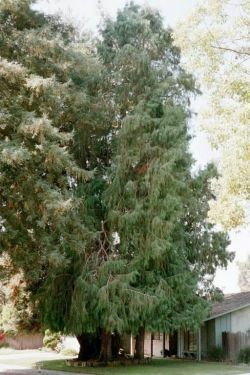 Similar to the Bald Cypress but the Montezuma can better tolerate dry conditions.